The results presented refer to the structure analysis of magnetorheological elastomers (MREs), based on ferromagnetic particles in a polyurethane matrix. The influence of the volume fraction of the ferromagnetic particles on their arrangement in relation to the external magnetic field was investigated. The amount of carbonyl iron particles, of the average size 6–9 μm, varied from 1.5 to 33 vol.%. Scanning electron microscopy was used to observe magnetorheological elastomer microstructures. Image analysis has been applied to describe the microstructures. 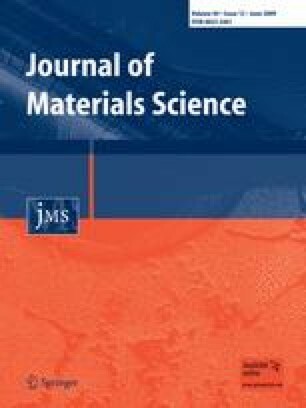 From author’s previous studies it is known that the microstructure anisotropy has significant effect on the properties of magnetorheological elastomers. Two different techniques of image analysis: skeleton by influence zone method and linear covariance function were used to reveal the anisotropy in particle arrangements. These methods allowed quantitative microstructure description. The results show that particle arrangement changes with their volume fraction. The analyses confirm particle chain networks in composites with higher iron content. Differences in particles arrangement for samples prepared under diverse conditions were also clearly shown. This study was financed as a Targeted Research Project from funds of the Polish Ministry of Science and Higher Education within years 2006–2008.